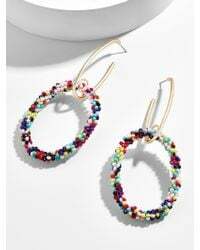 We check over 450 stores daily and we last saw this product for $19 at BaubleBar. 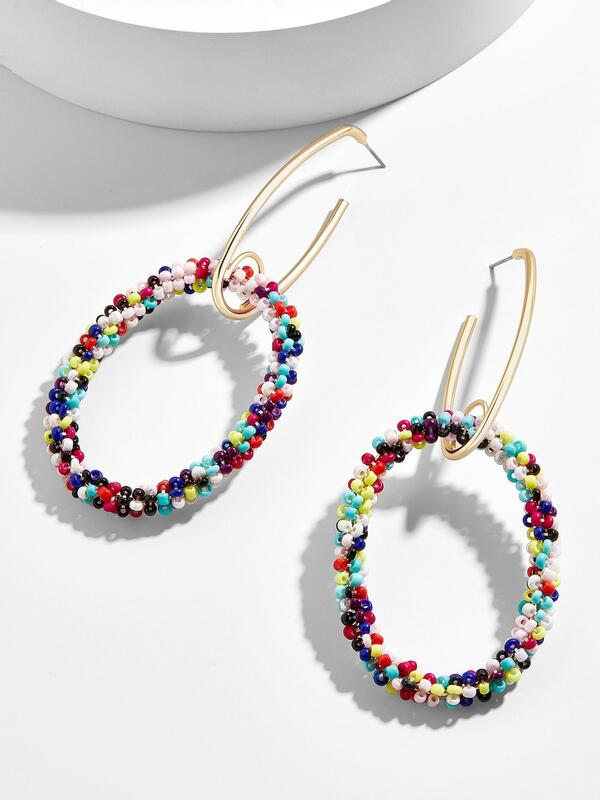 Add a pop of color to everything in your wardrobe with these beaded hoop earrings, featuring a glint of gold for instant, easy glamour. And if you really want to jooj them up, opt for playful motifs. Brass casting, glass seed bead, surgical steel posts. Shiny gold plating. Post back. Hypoallergenic. Length: 4.85". Width: 1.75". Weight:. 37 oz.